The Hollowcore Twin Headboard will refresh the style of any bedroom in your home. 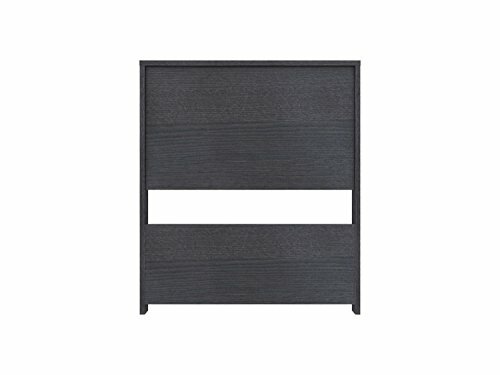 With a simple and modern design, the headboard will add a subtle elegance to any space. The headboard is available in two beautiful finishes that will complement almost any design style and give you more options with the rooms decor. Choose between Onyx, or Driftwood finish. The Hollowcore headboard is available in multiple sizes including twin bed, full/queen bed. If you have any questions about this product by Homestar North America LLC, contact us by completing and submitting the form below. If you are looking for a specif part number, please include it with your message.